Ethiopian Prime Minister Abiy Ahmed’s first year in office ended with an international crisis: the crash of Ethiopian Airlines Flight 302, a Boeing jet whose 157 passengers perished on March 10. Abiy’s government called for investigations into the jet’s control systems – a powerful example of a developing country standing up to an American multinational corporation, the New York Times reported. The 42-year-old prime minister is in a position of strength. His record is widely viewed as a success. “He ended a 20-year conflict with neighboring Eritrea, freed thousands of political prisoners, unfettered the media and appointed women to half the cabinet posts,” wrote the BBC. 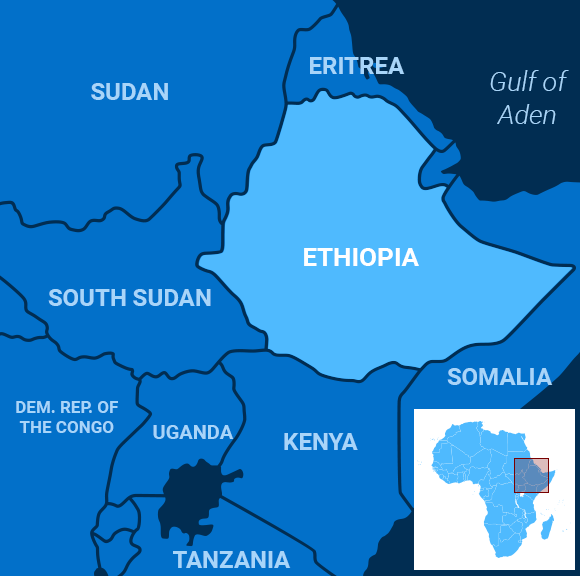 Hassen Hussein, an opposition leader who lived in exile before Abiy’s reforms allowed his return, told Agence France-Presse that Ethiopia might have descended into civil war without the prime minister’s ascendance. In what’s perhaps the most striking sign of his success, Ethiopia attracted a record $13 billion in foreign investment in the past year, fueling infrastructure projects throughout the country, setting the stage for an expansion in exports, and fostering rapid urbanization in the capital of Addis Ababa, Bloomberg wrote. The country sports the fastest growing economy in Africa. “Has Abiy Ahmed turned Ethiopia into a one-man show?” Al Jazeera quipped in a headline. But Al Jazeera’s story noted that the prime minister faces a big test in elections in 2020, when he’ll be expected to oversee the polls fairly while heading off inter-ethnic violence. Ethiopia is rich in ethnic and religious diversity. Oromo, Amhara and other ethnic groups practice Orthodox Christianity, Islam and Protestantism. But clashes among those groups have killed more than 1,000 people in recent years and displaced hundreds of thousands of others, according to Human Rights Watch, which praised Abiy’s overall record on civil rights but decried a breakdown in public safety. Ethnic frictions tend to play out on a national scale in Ethiopia. Ethnic Tigrayans, for example, oppose Abiy’s civil service reforms, which they claim are designed to cull their people from government offices, the Financial Times wrote. The prime minister and his supporters counter that Tigrayans are overrepresented. Kjetil Tronvoll, a Norwegian scholar of peace and conflict studies, told Deutsche Welle that Abiy had “disconnected the authoritarian state and invited a plurality of opinion to surface.” That makes for a more vibrant democracy but also might give formerly repressed hate groups space to grow. Mikhail Gorbachev faced similar problems with glasnost. Abiy has many different ways his future could go. Most hope it’s full of peace and prosperity. The Houthi rebels fighting for control of Yemen blamed a Saudi coalition airstrike for a warehouse explosion that killed at least 13 people, including seven children, in the rebel-held capital of Sana on Sunday. The Saudi-led coalition denied carrying out airstrikes in the region, the Associated Press reported, while the state-run news agency in Aden, aligned with the internationally recognized government on whose behalf the Saudis are fighting, said the rebels had stored weapons at the warehouse. The Saudi-led coalition has been fighting the Iran-backed Houthis since 2015. The war has killed tens of thousands and left Yemen on the verge of starvation. Meanwhile, the US House of Representatives voted overwhelmingly to use the Vietnam-era War Powers Resolution to force an end to the US support for the Saudis in the conflict: President Donald Trump is expected to veto the measure, the Washington Post reported. Congressional opposition to US involvement has been energized by the killing of Washington Post columnist Jamal Khashoggi in the Saudi embassy in Turkey. Twenty-five years after the genocide that killed 800,000 people began in Rwanda, President Paul Kagame said the country is rebuilding with the confidence that Rwandans would never turn against each other again. Earlier in the day, Kagame and his wife paid homage to the 250,000 victims interned in a mass burial ground at the Kigali Genocide Memorial Center in the capital, Kigali. The mass slaughter of Rwanda’s ethnic Tutsi minority was touched off in 1994 when a plane carrying President Juvénal Habyarimana, an ethnic Hutu, was shot down, resulting in his death. Blaming the Tutsi minority for shooting down the plane, bands of Hutu extremists began killing them en masse, with support from the army, police, and militias. Even today, bodies are still being found. Former Maldives President Mohamed Nasheed is returning to power just five months after his return from exile. Nasheed led his party to a landslide victory in Saturday’s election, most likely attaining a two-thirds majority in the 87-member assembly, Al Jazeera reported. On Sunday, the 51-year-old leader vowed to use his Maldivian Democratic Party’s (MDP) stunning electoral mandate to push through sweeping reforms and root out government corruption. The landslide was another slap in the face for former President Abdulla Yameen, who lost power in September in part due to corruption and embezzlement allegations. Though Yameen did not take part in the elections, his Progressive Party of Maldives is expected to manage only four seats. Among his other pledges, Nasheed has promised to transform the Maldives into a parliamentary democracy, abandoning the executive presidential system that was adopted in 2008. Nasheed was convicted under the Anti-Terrorism Act of Maldives and sentenced to 13 years in prison in 2015 in what Amnesty International decried as a sham trial. He fled into exile instead. Since the 1980s, beachgoers have been finding phones in the shape of Garfield the cat that mysteriously wash up on the coast of Brittany, in western France. Though it might look like a paranormal phenomenon, environmental advocates with the beach-cleaning group Ar Viltansoù weren’t amused at the toxic ocean pollution and set out to find its source. They recently discovered that the phones came from a shipping container that had been stuck in a sea cave for 35 years, Time magazine reported. Claire Simonin-Le Meur, president of Ar Viltansoù, got a tip to the container’s location from a local farmer, who had found it with his brother back in the 1980s after a storm started washing bits of the lasagna-loving cat ashore, according to the Washington Post. “I saw Garfield and container pieces all over the cave,” she told the French newspaper Le Monde. The cleanup crew arrived a little late to the scene, however. Despite being the bane of environmentalists for decades, the lazy feline has become the symbol for cleaning up the ocean in the area.